Kathy was quick to respond and made the booking process quick and easy! The rental was nice and spacious, it was a nice place. The venue was excellent. The wedding staff was terrific and the food was very tasty. The pool area was clean and well kept. The vacation rental was perfect it handled by families needs as to plenty of sleeping areas and the kitchen had plenty of dishes and pots. The house was kept clean and pet friendly. Kathy was a pleasure to work with, everything went smoothly. Enjoyed our stay. Great location and roomy condo. The All Mountain Rental team was fantastic. You communicated with us by email and even courtesy phone calls. Excellent job. 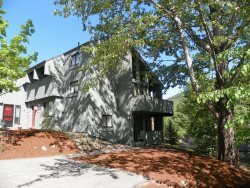 Thank you for all your help with our White Mountain Vacation rental needs! We had a wonderful time in the White Mountains. The resort was excellent, clean, vibrant and well maintained. Your staff was very nice and professional and knowledgeable about the property. The rental in a nice location with privacy out the back and had a nice open layout. Laundry room was nice if needed and two and half baths was plus. The staff at All Mountain Rentals is always friendly and accommodating. It is just simple phone call and everything we need gets taken care of. We have to head to Campton from the West Coast and its nice to not have to stress on where we are staying and whether or not it will meet our needs. Amazing property with a great company. We loved our vacation home, it exceeded our expectations. The rental team was very professional and helpful. Any time I had a question they immediately answered my phone calls and emails. I highly recommend this company for seasonal rentals. The condo was clean and included everything we needed. The word I would use to describe the property is cozy! It was perfect. Funtastic stay, enjoyed the atmosphere and close by stream running across the road. For young family claiming stairs won't be an issue! Nice vacation house overall! All Mountain Team were extremely professional and made my experience a wonderful one. Kathy was exceptional, she was able to work with me hand-in-hand with my rental. I would highly recommend All Mountain Rentals, and looking forward to book my next property with you. My Vacation Rental was simply perfect, the home was stunning, well-cleaned. Looking forward to returning.